There is no worse situation for spiritual growth than to sit under a bad preacher. 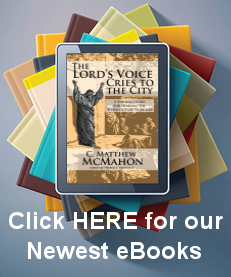 who preaches well—but lives bad—does what he can, to murder all his hearers at once! There is no greater bar to holiness, than ministers’ unholy lives. An unholy life mars the soundest and the sweetest doctrine. The sins of teachers are the teachers of sins! An unholy minister is the greatest pest, the worst plague, and the greatest mischief—that can be to a people; for his enormities, his wickednesses, will have the strongest influences upon the souls and lives of men—to make them eternally miserable. His falls will be the fall and ruin of many; for people are prone to . . .
eye more how he walks—than how he talks. Let a minister be ever so learned, solid, quaint, elegant, zealous, judicious, sententious, etc.—yet if he is carnal, covetous, worldly, vain, and loose in his life and walk, his hearers will rather slight and abhor the holy things of God. When the preacher departs out of the way of holiness, the people will quickly wander from all that is good. He whose life is not a standing reproof to sin, will, by his life, encourage sinners more and more in a way of sin. There is nothing which keeps men so off from the love of holiness, and from the pursuing after holiness—than the unholy lives of their ministers. The Gospel Ministry - by Rev. John brown, D. D.
The Gospel, the Ministry and the Holy Spirit - by Rev. B. P. Aydelott, D.D. The Uselessness of Church Entertainers, The Second Act - by C. Matthew McMahon Ph.D., Th.D.